Pastitsio is a traditional Greek baked dish loved by kids and adults and always present in the cooked meals list of tavernas, along with moussaka. Some foreigners call it "Greek style lasagna" because it has pasta as main ingredient, with a layer of sauteed ground beef meat and tomato sauce, topped with béchamel and hard cheese. But the taste of pastitsio is very different from the Italian dish due to the spices - clove, cinnamon and nutmeg, and the pasta which is usually used is not the rectangular sheet-type like in lasagna but the hollow straws called bucatini. Like moussaka, pastitsio is baked in large trays and then cut into portions or served in individual clay pots. The taste of the dish is almost identical everywhere in Greece but there may be slight variations caused by use of local herbs and spices or by the type of meat. 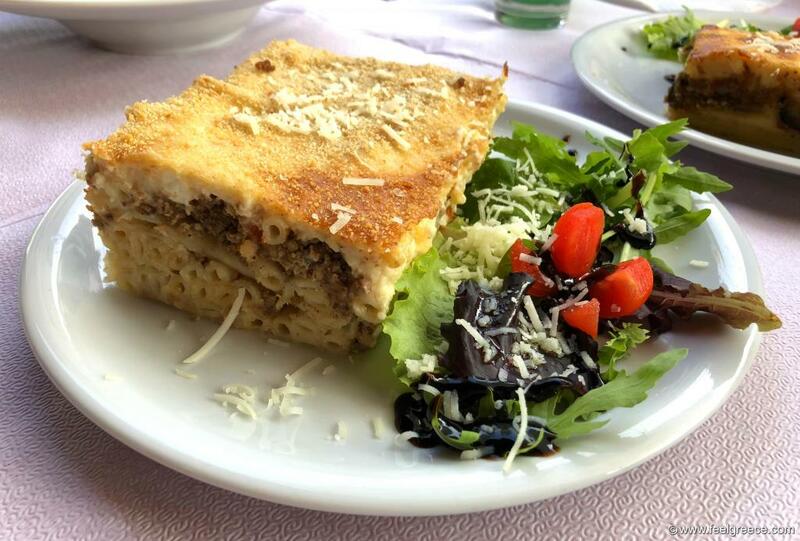 On the Ionian island of Corfu the variety of pastitsio is called pastitsada and the meat in it is not ground but cut into pieces and braised. 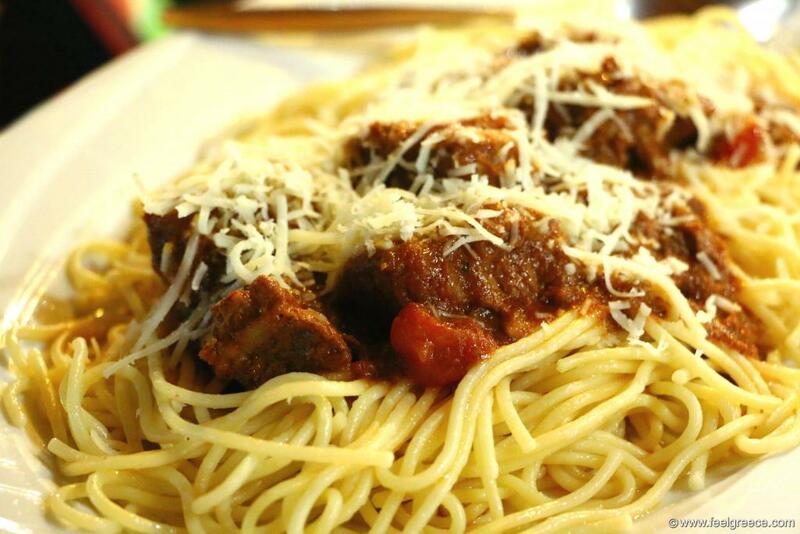 Pastitsada, also called Pastitsada Korfiatiki, with sliced pieces of beef and without topping.